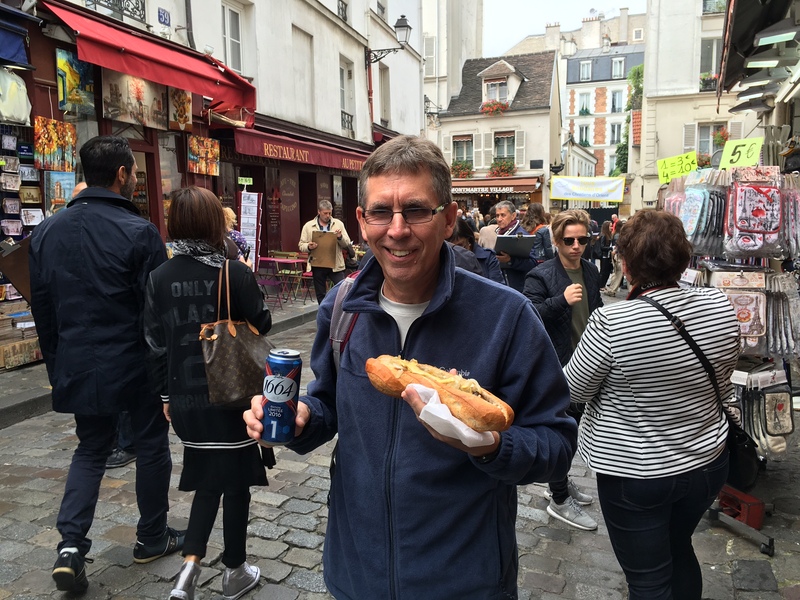 Enjoying one of the grilled sausages in the artist colony of Montmartre in Paris. 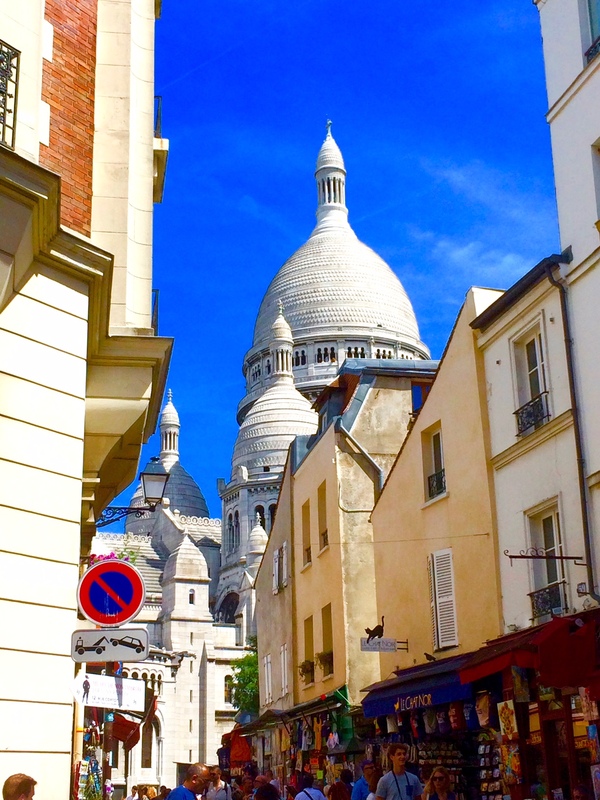 On the LONDON & PARIS Tour. 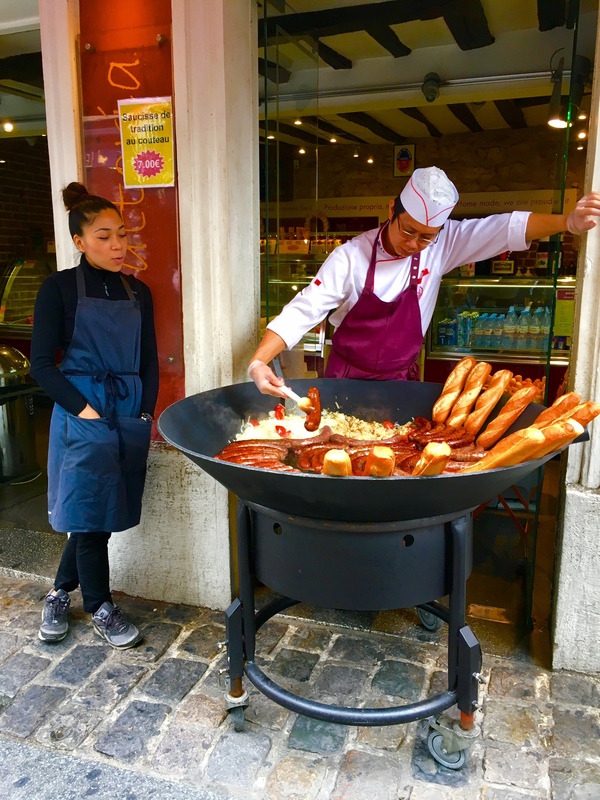 French bread, sausages and cabbage, grilled on the street above Paris in Montmartre.On the LONDON & PARIS Tour. 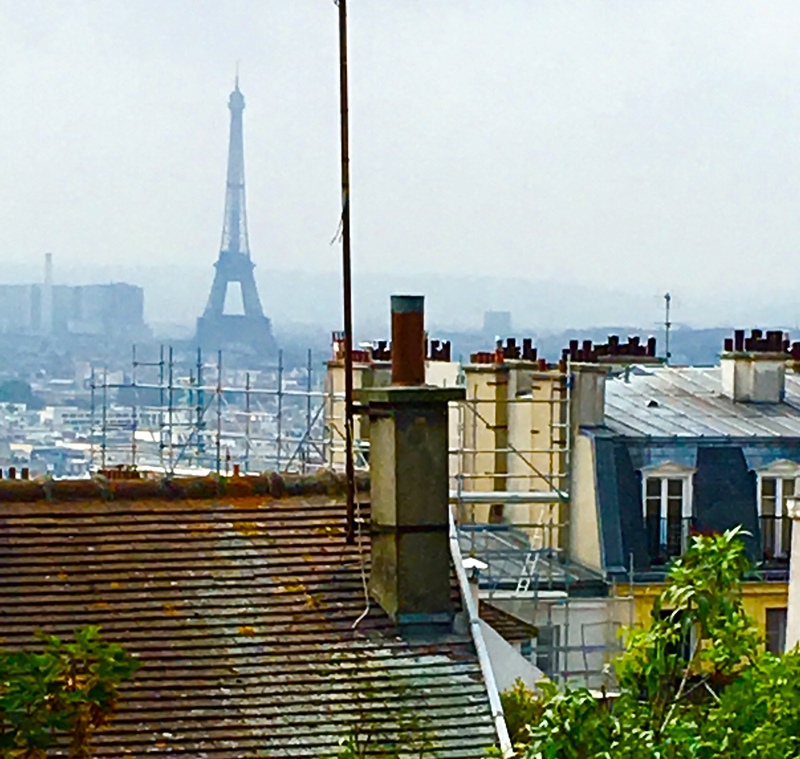 Across the rooftops of Paris to the Eiffel Tower. On the LONDON & PARIS Tour. At the Eiffel Tower.On the LONDON & PARIS Tour. 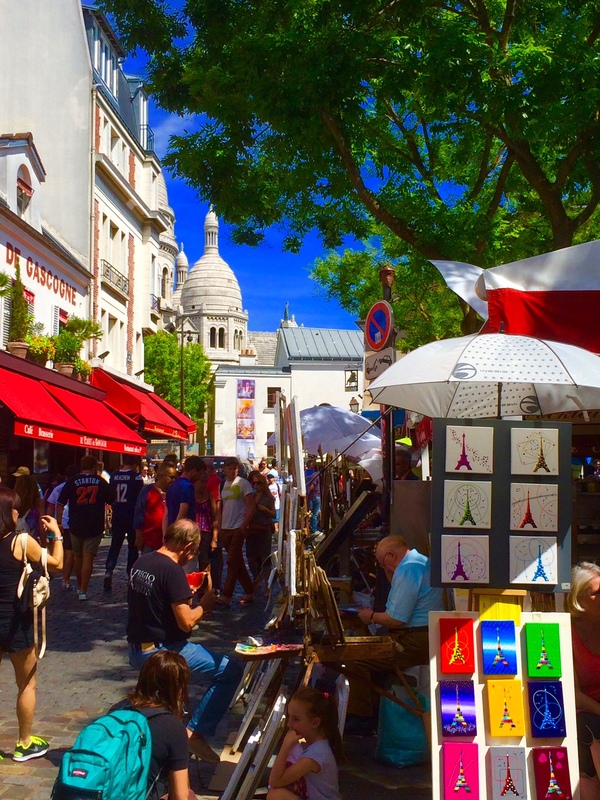 Some of the artists in the Central Square of the village above Paris, Montmartre. On the LONDON & PARIS Tour. 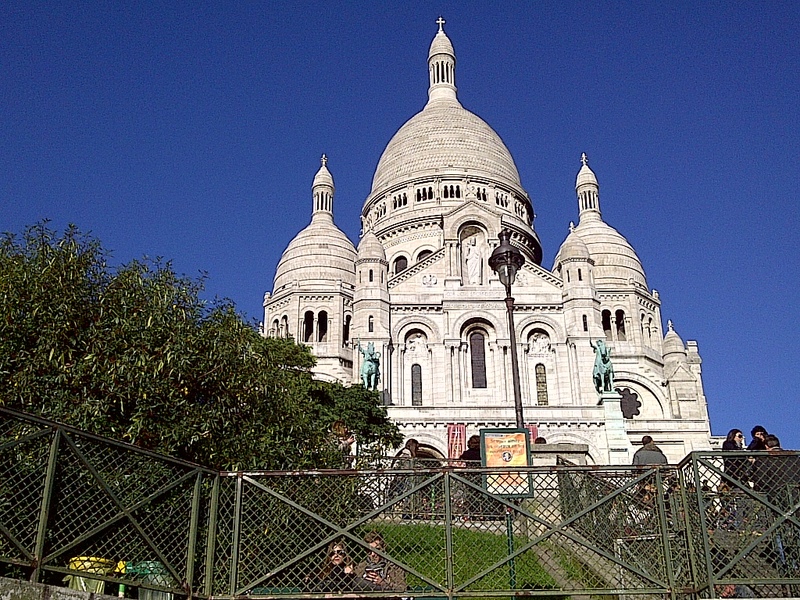 Another view of Sacre CouerCathedral.On the LONDON & PARIS Tour. 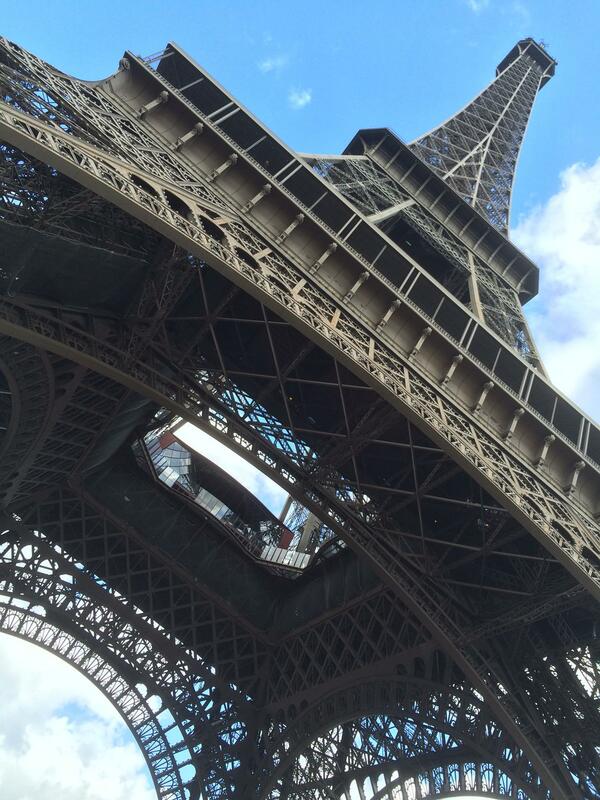 Perhaps the most recognizable structure in the world. On the LONDON & PARIS Tour. 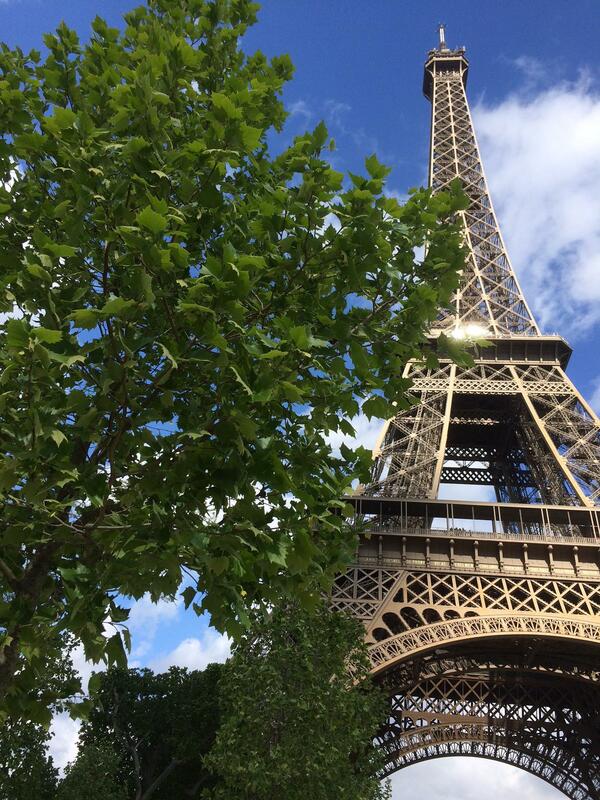 Where else but the Eiffel Tower in Paris. On the LONDON & PARIS Tour. 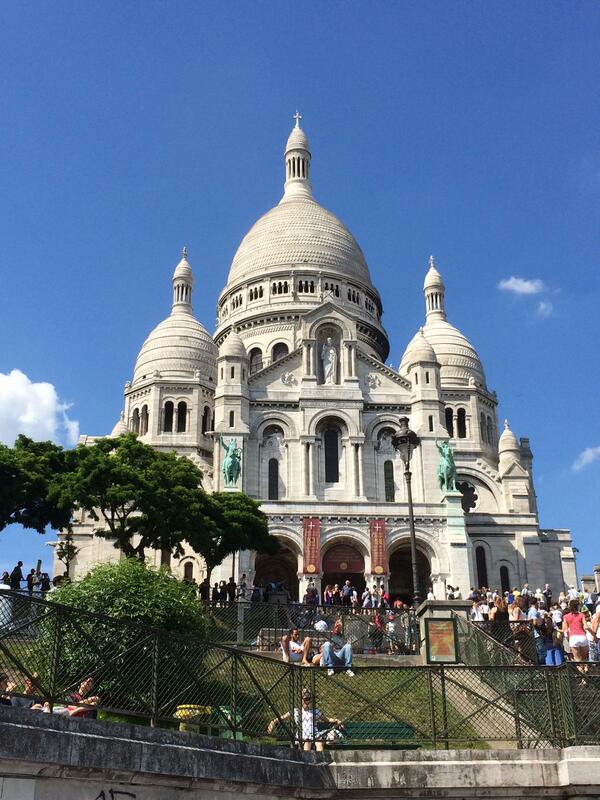 Sacre Coeur Cathedral atop Montmartre, Paris. 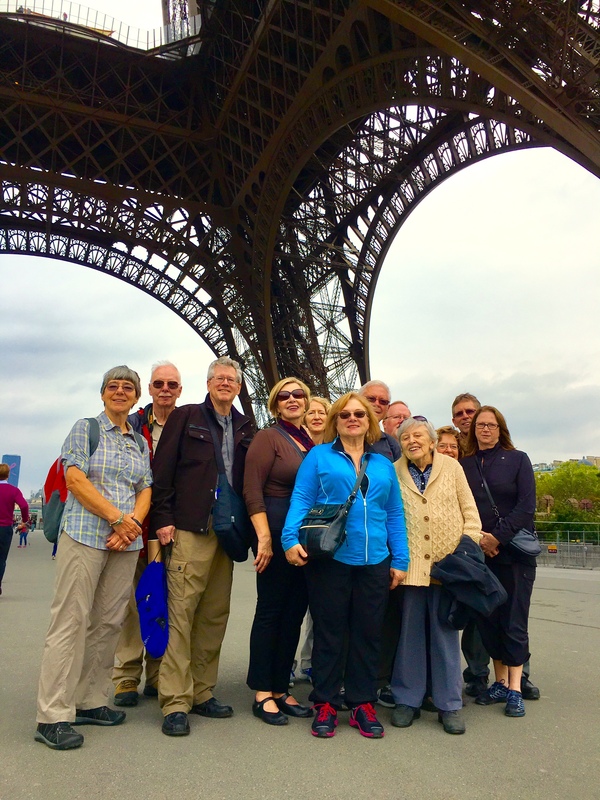 On the LONDON & PARIS Tour.